Washington (AFP) - During 14 years of intrepid exploration across Mars, it advanced human knowledge by confirming that water once flowed on the red planet -- but NASA's Opportunity rover has analyzed its last soil sample. The robot has been missing since the US space agency lost contact during a dust storm in June last year and was declared officially dead Wednesday, ending one of the most fruitful missions in the history of space exploration. Unable to recharge its batteries, Opportunity left hundreds of messages from Earth unanswered over the months, and NASA said it made its last attempt at contact Tuesday evening. 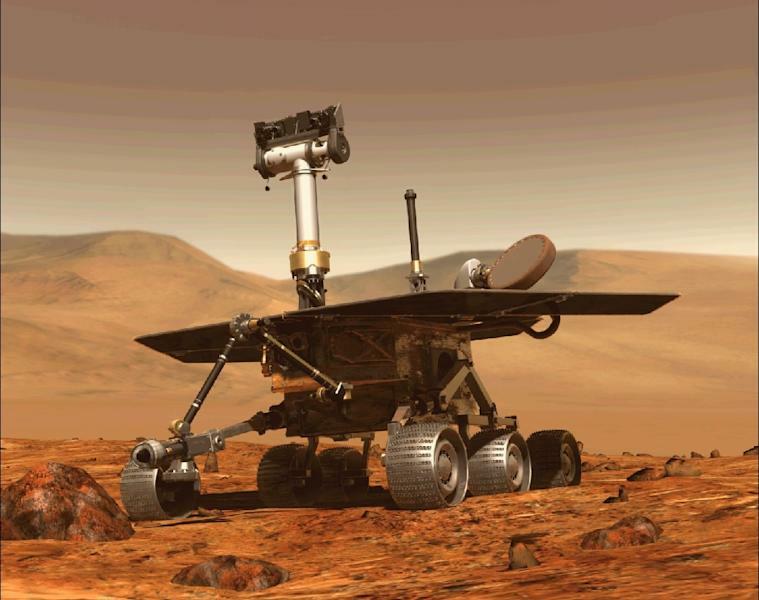 The community of researchers and engineers involved in the program were in mourning over the passing of the rover, known affectionately as Oppy. "It is a hard day," said John Callas, manager of the Mars Exploration Rover project. "Even though it is a machine and we're saying goodbye, it's very hard and it's very poignant." "Don't be sad it's over, be proud it taught us so much," former president Barack Obama tweeted later on Thursday. "Congrats to all the men and women of @NASA on a @MarsRovers mission that beat all expectations, inspired a new generation of Americans, and demands we keep investing in science that pushes the boundaries of human knowledge." "Hail to the Queen of Mars," added Mike Seibert, Opportunity's former flight director and rover driver in another tweet, while Frank Hartman, who piloted Oppy, told AFP he felt "greatly honored to have been a small part of it." 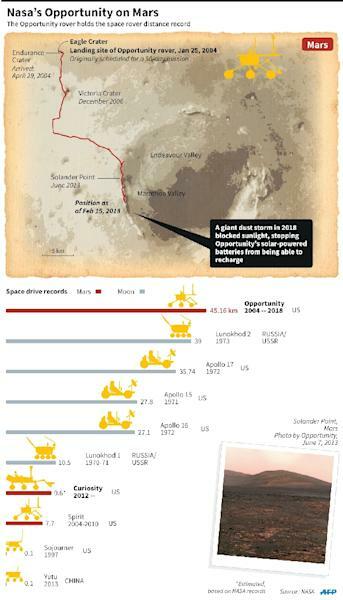 The program has had an extraordinary record of success: 28.1 miles (45.2 kilometers) traversed, more than the Soviet Union's Lunokhod 2 moon rover during the 1970s and more than the rover that US astronauts took to the moon on the Apollo 17 mission in 1972. "It is because of trailblazing missions such as Opportunity that there will come a day when our brave astronauts walk on the surface of Mars," NASA Administrator Jim Bridenstine said in a statement. "It really felt like an avatar for humanity traveling across the surface," she added. Opportunity landed on an immense plain and spent half its life there, traversing flat expanses and once getting stuck in a sand dune for several weeks. It was there, using geological instruments, that it confirmed that liquid water was once present on Mars. During the second part of its life on Mars, Opportunity climbed to the edge of the crater Endeavour, taking spectacular panoramic images -- and discovering veins of gypsum, additional proof that water once flowed among the Martian rocks. Opportunity's twin, Spirit, landed three weeks ahead of it, and was active until it expired in 2010. The two far exceeded the goals of their creators: In theory, their missions were supposed to last 90 days. Today, only a single rover is still active on Mars, Curiosity, which arrived in 2012. It is powered not by the sun, but by a small nuclear reactor. In 2021, the recently named Rosalind Franklin robot, part of the European-Russian ExoMars mission, is slated to land on a different part of the planet, raising the population of active rovers to two.